A special execution of nebra…and a perfect example of ochs und junior’s individual manufacturing process! We first executed this unique concept in December 2012 for a client who lives in Lucerne. Since then, we’ve built a few more variations, which are worn by clients in several different countries. The owner of this nebra wished for a wilder, less even copper patination. Which we happily accommodated! 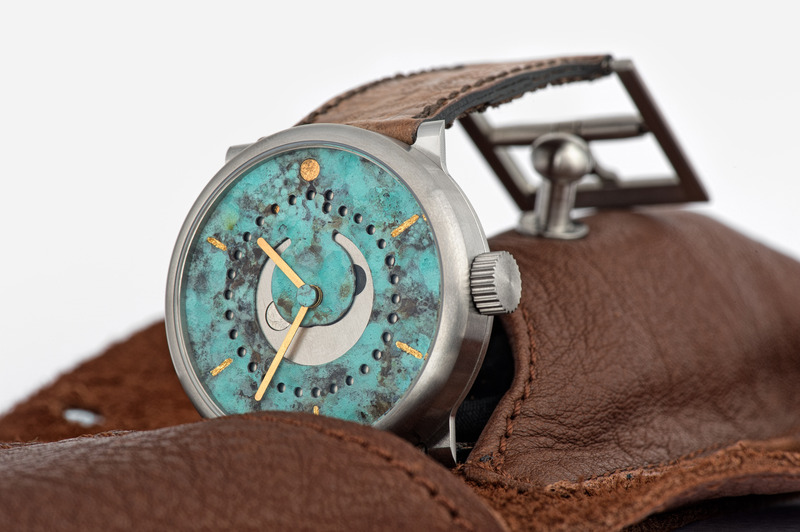 The ochs und junior moon phase “nebra wild”. 39mm case in grade 5 titanium. 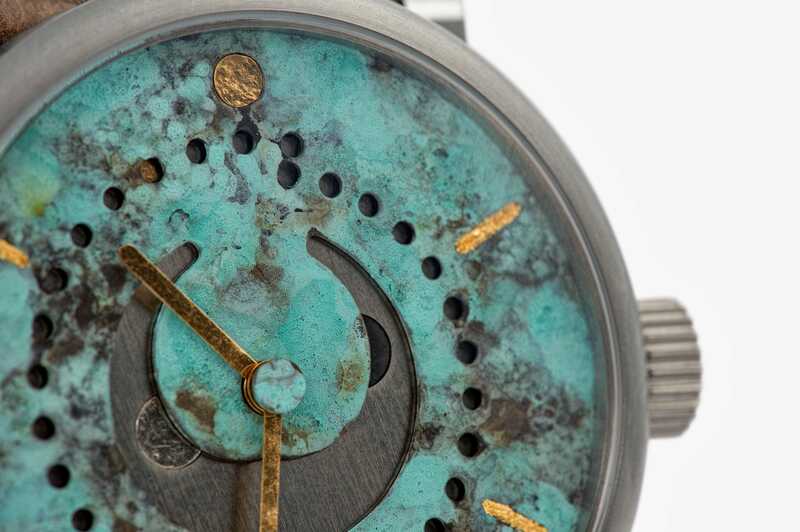 Dial in brass with “wild” copper patination. Sun at 12 o’clock in pure inlaid 24k gold. Date dot in pure 24k gold. Date disk in grade 5 titanium. Moon disk in grade 5 titanium. Full moon in hammered platinum PT950. 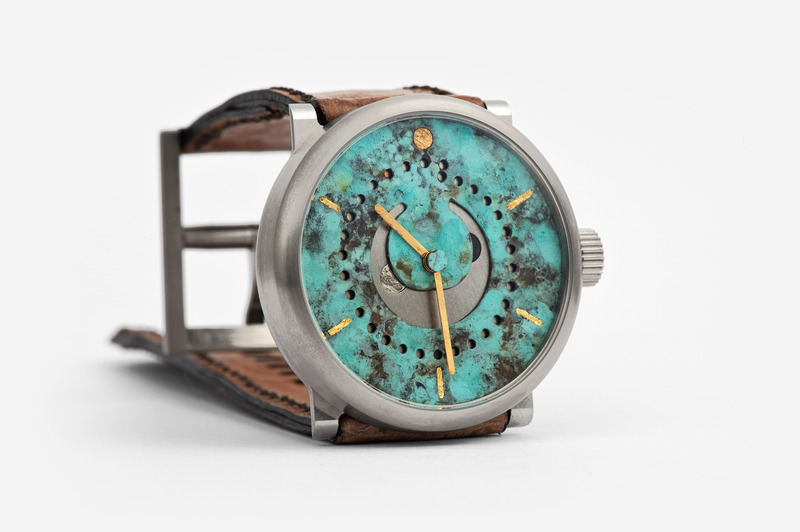 New moon in dark patinated sterling silver 925. Hour and minute hands in gold-plated brass. Second disk (representing earth) in “wild” copper-patination.